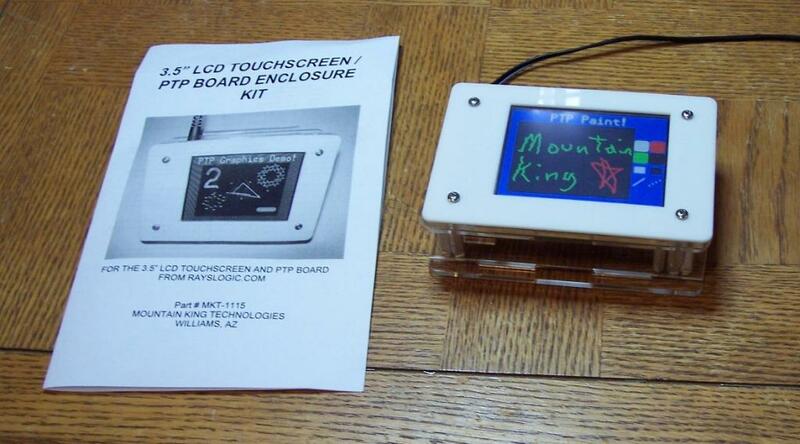 Chuck from Mountain King Technologies just sent me a laser cut acrylic enclosure for the PTP. I know I made it very difficult for him with the board layout... But, somehow, he pulled it off. Anyway, great job Chuck! And thanks! That looks pretty cool. Is it for sale? Do you have a URL for Mountain King Technologies? I found it myself. I made a typo in my first Google search which is why I didn't find it right off the bat. One thing I noticed right away is that the VSYNC and HSYNC signals aren't really used in the mode the driver defaults to: "DE" mode. Anyway, if you want to recover P16 and P17 for other purposes, use the the driver in the attached example. I just got one of these, too, in the fluorescent blue color. The build instructions seemed a bit tricky to digest at first, but it looks fantastic when it's put together and it's so nice to finally have a home for the PTP! Thanks a lot Rayman for the PTP and thanks Chuck for the enclosure! Here's a picture of my PTP in its home. 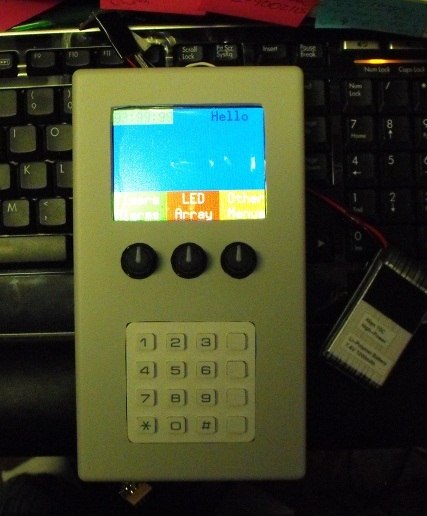 There's a second Prop in there to monitor the keypad, encoders, RF link, Wii Nunchuck connector, etc. It's main purpose is to control some custom lab equipment but I also use it to control robots and soon TVs and and other IR devices. I know a keypad is redundant on a touchscreen, but hey, I like buttons. Sorry about the picture quality. If I used a flash, it washed out the screen. Duane, looks neat, thanks for sharing the photo!